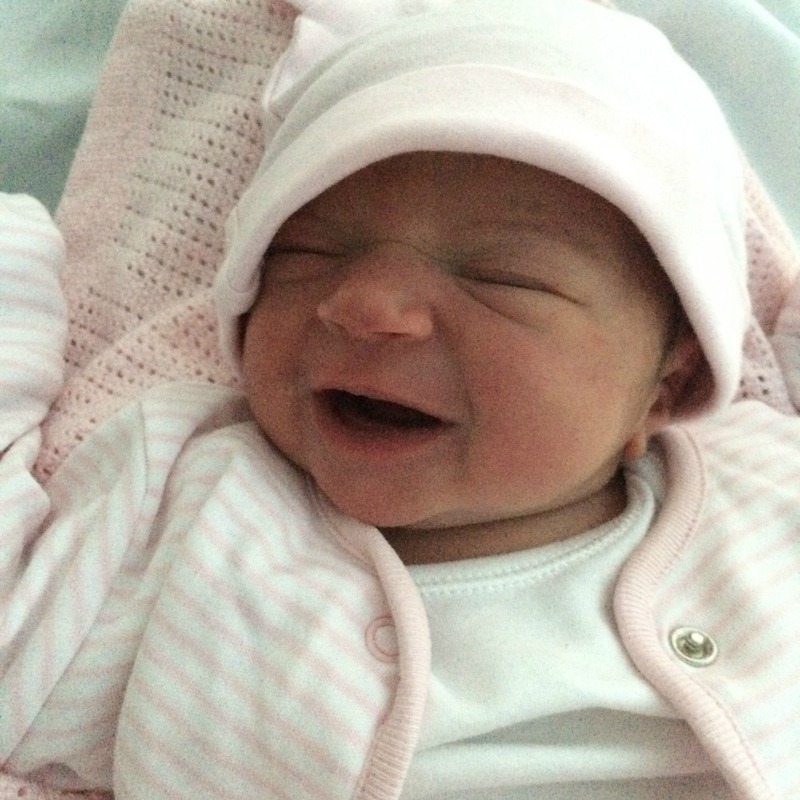 Sadie from The Secret Life of Mum is sharing her birth story today. You'll never guess what happens in this one, oh it's a good one. I won't spoil it for you, but let's just say I've not read a birth story quite like this before! So after watching One born every minute, wiping away the tears of relief (that i never have to do that again) and shrugging off the ever so slight pangs of broodiness I decided to share my birth story. I’ve read so many birth stories, some of my favourites on the Gas and Air blog by lovely Clemmie or @midwifeyhooper as she’s known on the social media scene or Sian at Quite Frankly She Said who shares lots of beautiful birth stories. Before I start the actual birth but let me just fill you in on my pregnancy, it was a much wanted and waited on pregnancy. We took two years to conceive then spent the first 26 weeks of the pregnancy worried about a few niggles, bleeding and fetal growth. By the 3rd trimester my body had finally got used to being pregnant and my little bean had decided to do some serious growing. So my actual story begins on a Wednesday afternoon in June 2015. I’m 37+3 and feeling pretty relaxed. My maternity leave had begun and the weather was glorious. I had a friend over for lunch, we scoffed tea and biscuits and I showed her my maternity leave project- an old pine ottoman that I was sanding down to paint white for a toy storage box. She was giggling as I shoveled biscuits in my mouth with one hand and frantically sanded this box with the other. “You’re going into labour tonight and that box will never get finished” Ha! I laughed, and reminded her that after 2 long years and this being my second pregnancy that I knew my body pretty well and this baby wasn’t making an appearance any time soon. That night the other half was working an overnight shift, his last one he’d promised until after the baby as I was worried about going into labour at home alone with my son. So off he went and I went to bed. 3.10am the following morning I woke to the warm trickle, the momentary panic that my pelvic floor had finally given up the ghost and I was actually just wetting myself subsided and I realised my waters had broken. There was no pop that some people speak of, no massive gush. With my first son my waters were broken for me so I never knew what to expect. So I snuck out of bed (my son was sleeping next to me as he often did when daddy was on overnights, more for my comfort than his own I think!) and called baby daddy, he got home and off we went to get me checked out. I was having no contractions at this point but the water was still coming. I’d toyed with the idea of the birth centre, only off put being the lack of epidurals! But the midwife reassured me the labour ward was literally across the way so I could move if I decided. So I was examined on a beanbag type thing on the floor, all lovely and very non-surgical but I wasn’t sure if it was for me. I kinda like the security and glamour of hospital gowns and stirrups. The midwife decided it was not my waters at all and that I was just having “increased discharge” (sorry for that, I even cringed typing it) We left feeling pretty deflated with advice to wait and see. I was pretty sure I knew the difference between water and heavy discharge (sorry again). At home I got into bed with my son and we watched 2 or 3 movies back to back. I was suddenly very aware that these were our last moments together as just us, a family of 3…and lazy movie days with him may be a thing of the past, at least for a while. By 7pm with still no pains I managed to convince A to take me back to the hospital. The water was still coming, I was going back and I refused to leave without a baby this time. On examination they decided and agreed that yes, In fact it was my waters that broke (almost 24 hours ago) and now I was at increased risk of infection they were inducing me there and then! Now I must admit, there was a whiff of “I told you so” in the air. So off I went to the ward, phoned home to say goodnight to my eldest and delight at the possibility of a new baby sister in the morning! They didn’t have a bed on the labour ward for me yet so we patiently waited for one to become available. All the while I was aware that my waters had been broken for near on 24 hours. We waited and waited, 3am came and went. After this I had to sign some sort of release form stating I understood that my labour had not been started within the 24hours and the reasons were beyond their control etc…all a bit of a blur to be honest! By 8am I was on the labour ward and the induction was started. I had actually started having mild contractions on my own but was so ready to get this going properly. I was exhausted! Lying there, tired, dazed, and suddenly very nauseous I proceeded to vomit all over myself and the midwife who passed me a sick bowl just one second too late. Mid-vom my other half poked his head around the corner. “Oh my god!” he declared. This was echoed by the two midwives who then hurriedly lifted the sheet covering my legs to reveal a little brown haired, blue skinned baby! Yes ladies and gentlemen, I vomited out my baby. Literally, threw up and out popped my little daughter. Just to set the scene: sick bowl in one hand, baby in the other, legs still all over the shop and blood everywhere. But for the second time, I had found my happy place. The final piece of our puzzle. My other half delighted in telling people that our daughter literally “fell out” but that’s another story. So there you have it, Baby I fell into the world - 26th June 2015/12.27pm/7lbs5oz to complete our little family. I said it was a good one didn't I! Sadie, I have never read a birth story quite like this at all, thank you for sharing it with us - oh and yes definitely sell your story to the Mail! Oh my word, I was not expecting that at all! She is beautiful and what a birth story ha! I love reading birth stories. I was sick as well whilst pushing but luckily my hubby was there with a bowl! Oo and also how amazing are epidurals? I don't know how people manage without them? !